THE BIG QUESTION: HOW FREE IS SPEECH? A discussion on the limits, objectives and application of free speech. 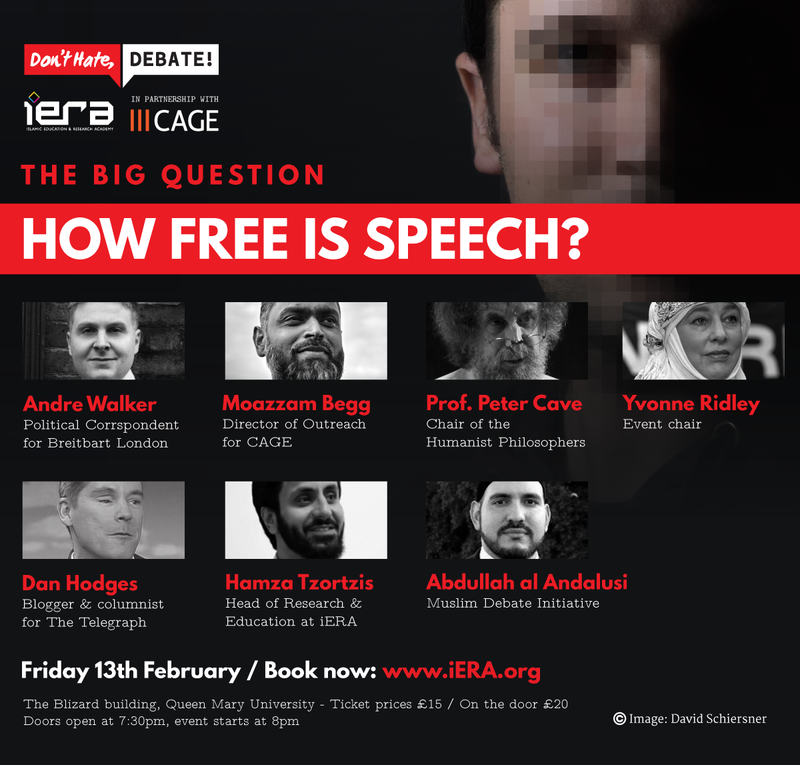 The aim of this event is to have a nuanced, balanced and compassionate dialogue on the concept of freedom of speech in light of the unfortunate Charlie Hebdo incident in Paris last month. The event will feature a cross-panel discussion on the topics of freedom of speech, satirising religion, limits of the press and other related themes. The event will be chaired by veteran journalist Yvonne Ridley, who is no stranger to delving into controversial and topical subjects. 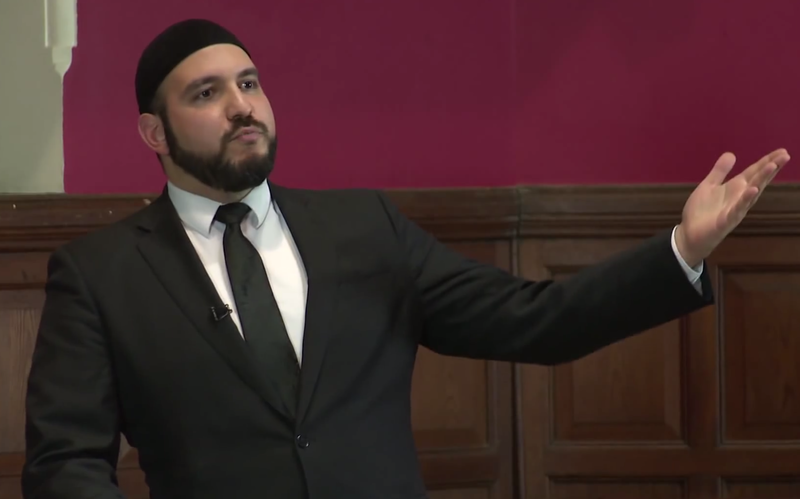 ‘Don’t Hate, Debate!’ is a campaign led by the Islamic Education and Research Academy (iERA) in partnership with advocacy group Cage, aimed at creating a platform for people of all faiths and none to engage in positive dialogue, without resorting to insults as a starting point of communication. In order to achieve social progression, tolerance and community cohesion, it is pivotal that different groups within our society are able to discuss their differences without abusing or transgressing the boundaries of free speech, which will inevitably lead to animosity.